As of 2019 silver-gray hair is a trend that's even sought after by people as young as their 20s, but not everyone is ready to go for the silver fox or silver vixen look when it happens naturally. If your gray hair stems from nutrient deficiencies, taking the correct level of vitamins may help your hair regain its natural color. Inside your hair follicles, pigment cells produce melanin that gets stored in the hair cortex, giving you color all over your head. However, these cells — known as melanocytes — don't produce the same color throughout your entire life. A baby, for example, might be born with a head of jet-black hair, be tow-headed throughout young childhood and start becoming distinctly brunette by her 10th birthday. This is caused by how the individual genes are expressed throughout life, with the pigment for dark hair — eumelanin — becoming more deeply expressed with age. By the same token, a baby with strawberry blonde or light copper hair can turn out with dark auburn hair as an adult. The pigment for red hair — pheomelanin — might not even be apparent, depending on how much eumelanin the genes express. As you age, your melanocytes start slowing down. Although you might associate gray hair with those in their 50s or older, it's normal for the first gray hairs to start sprouting at about age 30 for men or 35 for women. However, when you start to gray naturally due to the slowing of melanocytes depends upon your individual genetics. Another contributor to gray hair is hydrogen peroxide in your body. Those bleaching their hair to achieve a glamorous gray or blonde look are big fans of this pigment-stripping substance. But if you're in a fight with the white hairs, it's something you won't necessarily welcome. An enzyme produced naturally by your body called catalase breaks down the hydrogen peroxide into water, stopping it from bleaching your hair from the inside out. Unfortunately, catalase production slows with aging, letting the aging process gain a foothold. Vitamin deficiency. Ask your naturopath or doctor to test you to see if you have nutritional deficiencies. Vegans commonly find themselves going gray or white earlier than their egg- and meat-eating peers because of a deficiency of vitamin B12, which is found in meat, eggs and dairy. Health problems: These aren't so easy to correct. Vitiligo, thyroid problems and autoimmune disorders are three common contributors to premature graying. Lifestyle: This one is totally within your control. Smoking and poor nutrition are often contributors to early white hairs making an appearance. Vitamin A helps the sebaceous glands beneath the skin produce sebum, an oily substance that keeps your hair follicles moisturized. B vitamins are essential to the hair. B6 can help hair return to its natural color after a serious illness, and B12 deficiency can contribute to premature graying. Para-amino benzoic acid (PABA) and pantothenic acid are part of the B-vitamin group, and some believe taking them together can help reverse graying hair. Niacin (vitamin B3) helps scalp circulation. Be careful if you take niacin supplements, because they can cause uncomfortable flushing that feels like prickles. Biotin is also known as vitamin B7 and plays a role in producing keratin, a major component of skin and nails. Vitamins C and E: As antioxidants, vitamins C and E help prevent the deterioration of the hair follicles as you age. Wheat germ and wheat germ oil are good sources of vitamin E, and you'll find lots of vitamin C in citrus fruits. Although catalase production that breaks down hydrogen peroxide in the body slows with age, it's not the only enzyme that can do the job. Glutathione — produced by the liver — is considered to be a master antioxidant for the body. Its production also slows with age, but you can buy supplements of the substance to take at bedtime to help renew your youth. Upping your vitamin C intake is another way to boost the peroxide-devouring glutathione in your body that can help reverse grays. Ascorbic acid and adding lemon juice to your tea or water is particularly effective in reducing hydrogen peroxide levels in the body, according to a 2019 study published in Food Chemistry. Add grass-fed whey protein to your daily regimen. 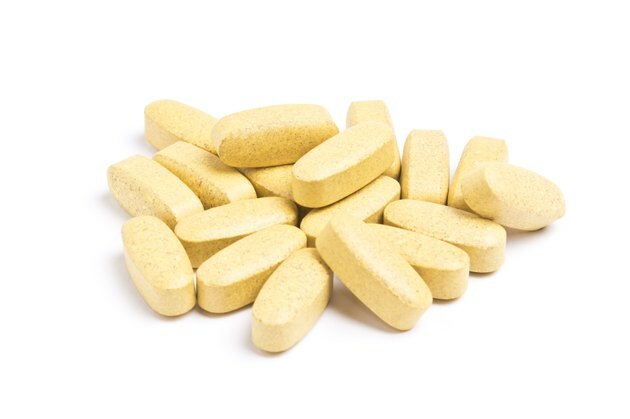 A study published in 2019 in Human & Experimental Toxicology showed that whey has a positive impact on improving glutathione and catalase expression in the body when administered to rats with liver damage. Although there are no human studies to the effect, using whey protein as opposed to casein or other protein sources might have a positive effect on your own glutathione levels. A process known as autophagy can actually help your body rid itself of metabolic junk, causing an all-over renewal of more youthful vibrancy. The word's literal meaning is "self eating," but it's not as macabre or cannibalistic as it sounds. Cells use the process to rid themselves of damaged proteins and organelles, and stimulate growth hormones at the same time to complete the cellular renovation. Autophagy can help decrease inflammation in the body, and reduce levels of hair-bleaching hydrogen peroxide. So how do you turn on this miracle devourer? Fasting or intermittent fasting is one of the best ways, according to experiments conducted since 1962. The level of glucagon that stimulates the process goes down every time you eat and insulin takes over. Just like a see-saw, when you fast and insulin levels go down, glucagon increases and starts the autophagy process. Don't overdo fasting — getting plenty of good nutrition is key to providing your body with what it needs to build healthy, more youthful cells. Before making drastic changes to your diet, either through adding vitamins or supplements or setting out to stimulate autophagy through intermittent fasting, check with your doctor to make sure you don't have any medical conditions that could get worse from making a change. LiveScience: Why Do Some Blond Kids Go Dark?